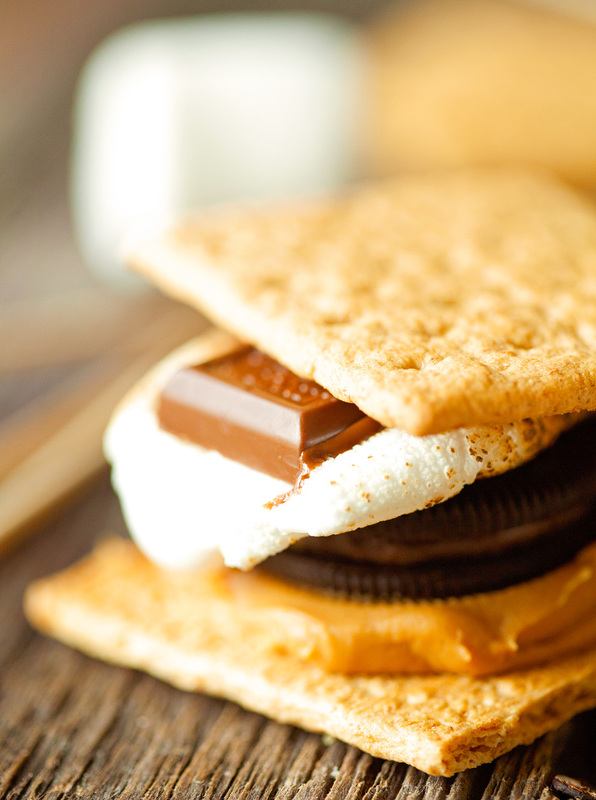 S’mores are gaining a delicious addition – Oreos. 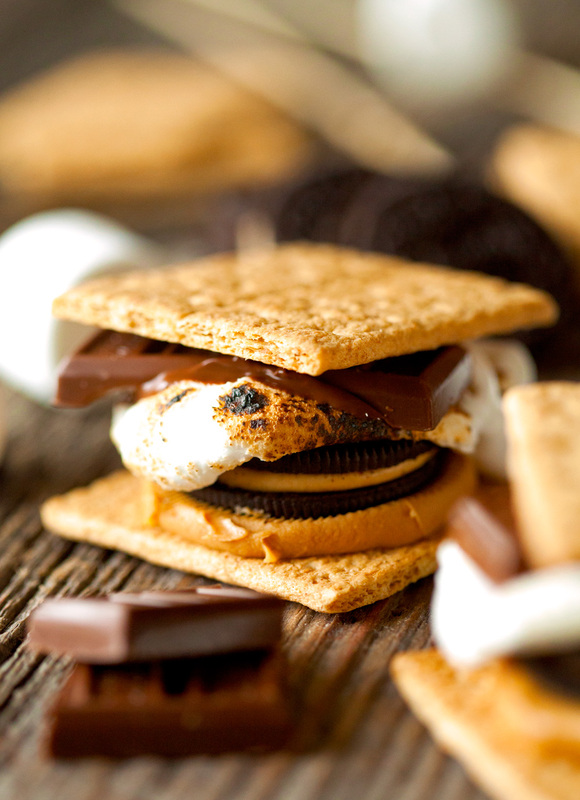 Who knew the campfire favorite could taste even better?! Happy Monday! We’re kicking things off with my favorite new sweet addiction and the one thing I couldn’t get enough of this weekend. Ready? 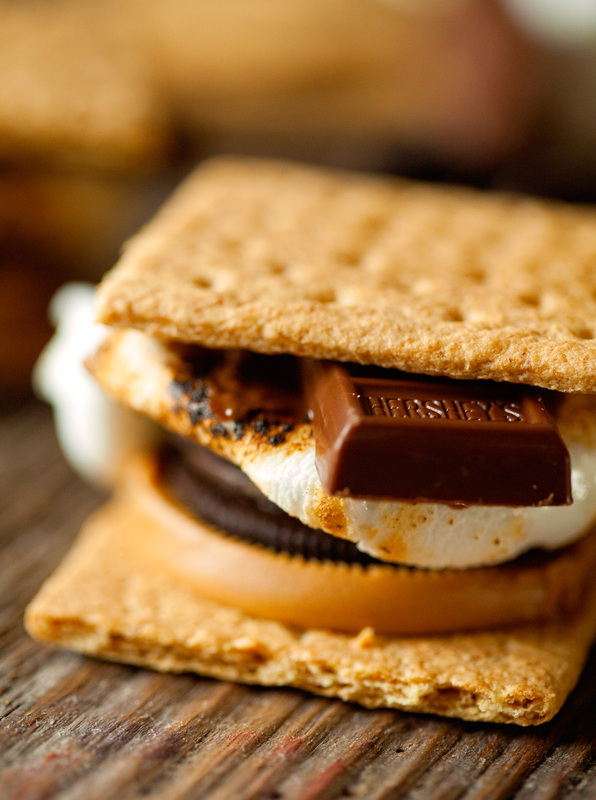 Yep, we’re talking S’mores today. This is one of those times when I had a brilliant idea and just couldn’t wait to tell you all about it… until google came along and showed me that I am not as clever as I thought I was. Turns out there are other people that discovered S’moreos before it ever entered my mind. Oh well, better late than never, ha. It all started with a package of Reese’s Oreos that I picked up last Wednesday. I had been anxiously awaiting for stores to carry them ever since I heard about ’em a couple of weeks ago. Have you had a chance to try them yet? I wasn’t a huge fan of their latest editions, but had no doubt that this one would be the bomb. I am a huge fan of Peanut Butter Oreos and knew that the addition of chocolate just had to be ah-mazing. Can you tell I’m head over heels? And because a piece of chocolate is already part of a s’more, I added a tablespoon of peanut butter to keep with the whole Peanut Butter and Chocolate theme we have going on here. This is a must – an extra step that is more than worth it! I am all over the creamy to crunchy ratio in this little sandwich. It’s so gooey and messy and wonderful and did I mention delicious?? I am pretty sure I don’t need to convince you to make this. Do I? I got to use my crème brulee torch for these pictures. It was my first time using it and I had so much fun. Cannot wait to whip it out more and possibly make actual crème brulee?! I was too desperate to wait until it was time to gather around our bonfire later that night. Patience is not my forte. Clearly. Plus, I got to indulge twice in one day. Yum! Here’s to a great week. S'more just got an upgrade to S'moreos. Once you try it, you will never go back! 1. Break (one sheet) of graham crackers in half and. Slather one tablespoon of peanut butter on one side and top with one oreo. Roast a marshmallow. Place gooey marshmallow on top of the oreo, top with one mini Hershey's chocolate bar and place other graham cracker half on top. Enjoy and repeat as many times as possible! S'moreos are best when eaten immediately. These are seriously so smart and delicious looking! Pinning! Holy moly! First of all- peanut butter Oreos, where have you been all my life? Secondly: peanut butter + Oreo + smore?? Sounds & looks like absolute heaven! Hold the PHONE! There are Reese’s Oreos? How have I never heard of these? I’m going to have to venture down the snack aisle stat! And the name of these are just too perfect! They look amazing! Pinned and want! They look delish! Love the name 😀 I can only imagine how amazing these must be with all these yummy ingredients. Talk about making a smore even better !! I find it hard to believe that these beauties are real, because they look too awesome! Seriously, what a combo! I’ll take seven (dozens) right now, please! 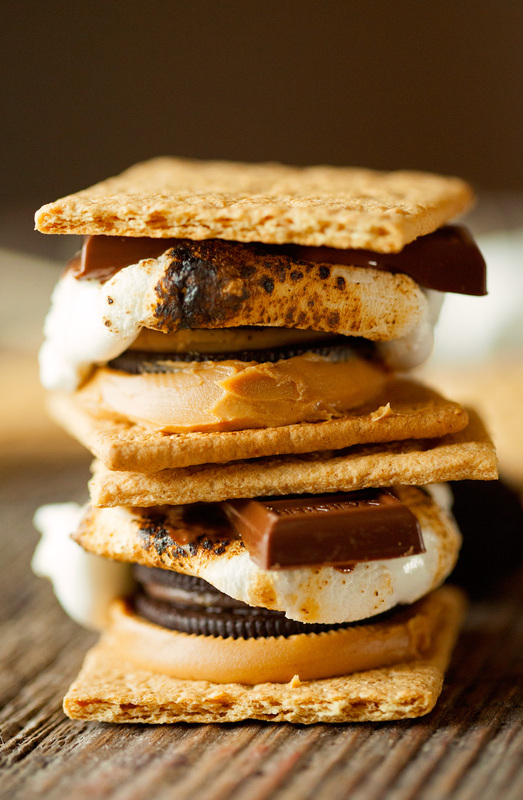 Holy s’mores! These must be divine! Ummmm they make Reese’s Oreos???? What????!!! In love. 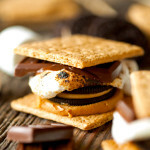 Holy moly this S’mores looks ah-MAZING! 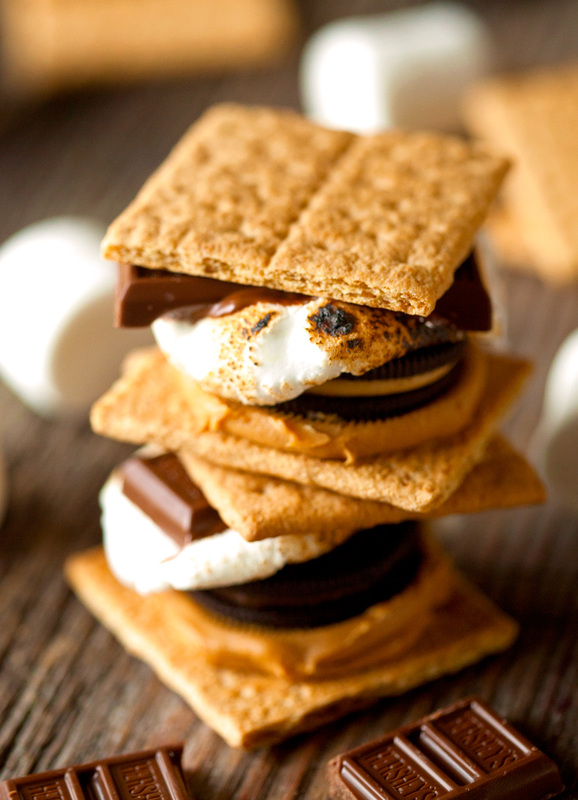 These s’mores look melt-in-your-mouth good! Doesn’t Google always spoil the fun! I’ve had several “brilliant” ideas..until I Google it just to find out I’m not so brilliant after all. Regarless of Google, these Smoreos are amazing, and you should take full credit! Beautiful pictures! Reese’s Oreos?!!! Why haven’t I heard of these? Must go on Oreo hunt asap! These s’mores are too die for. I wish I could reach into my screen right now and grab one so I could chow down! I keep seeing everyone post pictures of these Reese’s Oreos on Instagram! These s’moreos sound dangerous….and by dangerous I mean “I need to try them”. Oh my word! You know that way to my heart. I love PB cups in s’smores. 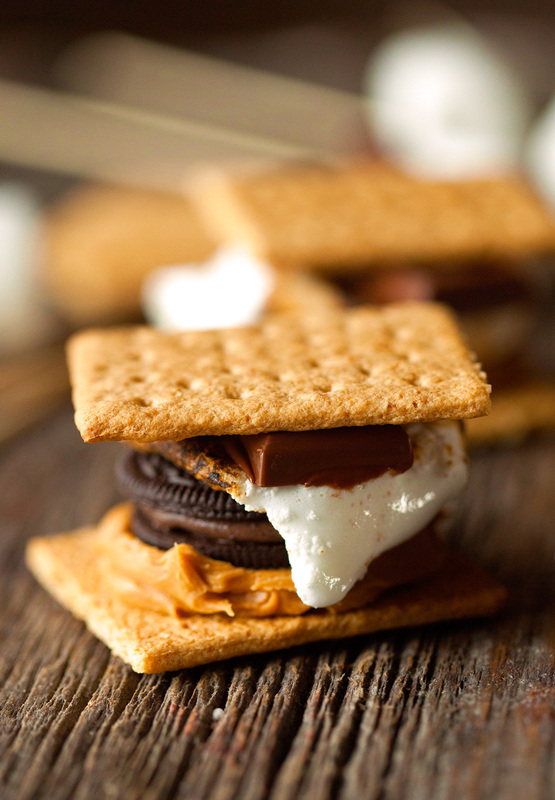 But PB oreos in s’mores? Now you’ve made me hungry. Fidinng this post solves a problem for me. Thanks!